Spanning western Europe from 1875 to 1917 and presenting a gothic historical Paris that subverts our old assumptions regarding the City of Light, M. Allen Cunningham's new novel brings a brooding atmosphere and human complexity to an intimate and imaginative portrait of one of the most uniquely sensitive artists of his time, a poet whose odd childhood and difficult early life will both fascinate and perhaps help explain his determination to stay true to his artistic vision at almost any cost. Here is Rainer Maria Rilke in the grip of his greatest artistic struggle: life itself. Rilke's gripping emotional drama as child, lover, husband, father, protege, misfit soldier, and wanderer is framed by a haunted young figure, a researcher who, a century later, feels compelled to trace Rilke's itinerant footsteps and those of Rilke's fictional alter ego, the bewitched poet Malte Laurids Brigge. The result is an exploration of the forever imperfect loyalties we face in work and life, the seemingly immeasurable distances that can separate life and art, and the generational tensions between masters and admirers. 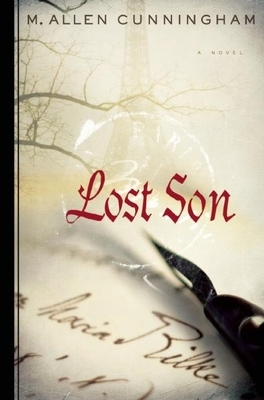 Lost Son is . . . awe-inspiring in the depth of research Cunningham has done to produce the book and in the depth of understanding the novel reveals regarding Rilke’s life, his struggles, his loves, and his literary work.